My name is A.J. and this is where I tell you what I think about whatever is in my life right now. All reviews are my own honest opinions. Hello everyone! Today I bring you the top 10 books I read this year. This does not mean that all the books were published in 2015 (although most of them were), but they were read by me in 2015. All these books that I have chosen are books that I just adored and they made me think and after I finished them I just sat there in amazement of what I just read. So in order by the date published, here are my favorites for this year. I never read this book before because I was hesitant about all the hype around it, but I finally ended up reading it and I now understand all the excitement about this series. 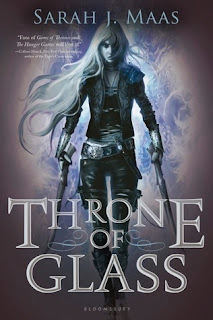 I am a very picky reader when it comes to fantasy type books because I need a story to be 100% original and engaging. And this book had it. I loved Celaena and how badass she was. This story was funny and there was a good mix of action, romance, humor, magic, and suspense and after I finished, I immediately started reading the second book. This book. Oh my gosh, this book is not only one of my favorite books of the year, but of all time. This is the first book in the Willow Creek series, and it's freaking perfect. I loved Maddox and Emma and their story was adorable. This book was hilarious and was a very light romance, so there wasn't intense drama or anything unnecessary and I loved it. There is also a hedgehog in this book and if that's not reason enough to go read this book, read it because it's a great series and it's just fun and will put a smile on your face. This book was everything I love in a romance. It was a hockey college romance and I absolutely adored Hannah and Garrett's story. Elle Kennedy did such a good job giving depth to the characters along with developing their love story. Garrett and Hannah had so much chemistry and they clicked really well together. It was just so obvious that they made each other better and stronger and I loved being able to read that. And if that wasn't enough, this book was laugh out loud hilarious too. This was the first Elle Kennedy book I read and I am now a huge fan. Toni Aleo always releases incredible books, so this one was no different. 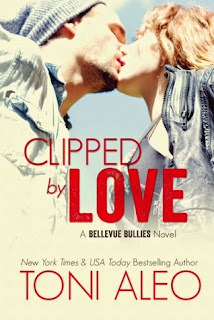 It was so different from her other series but still had that magical secret ingredient that made me fall totally in love with Baylor and Jayden's story. There was so much chemistry and these characters were clearly made for each other. Additionally, the storyline was so unique and refreshing to read about. Read my full review here. Out of all 10 books listed, this is my favorite one. 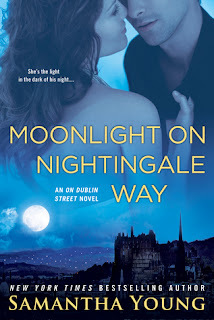 This is the last book in the On Dublin Street series, which is a series that means so much to me as it was the first romance I ever fell in love with. And Samantha Young put everything she had into this book and it was perfection. The characters were so strong and dynamic individually and together they were electric. There was so much emotion and love in this book, not only between Logan and Grace, but with the other couples in the series. This book was more than I could have wanted in the finale to such a beautiful series. Read my full review here. 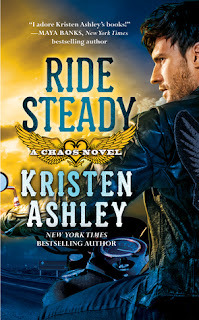 Obviously Kristen Ashley made in on my list because she a freaking romance wizard. I literally love every single book she has released (and that's a lot of books), and this one was no different. This book was a true love story. Not clichéd or sappy, but raw and emotional. Joker and Carissa went so well together and they just made me so happy. I adore this book so much and I'm probably going to reread after writing this. Read my full review here. This is probably the best author collaboration book I've ever read. This story was so realistic and when I finished it, I just wanted more. Wes and Jamie were absolutely perfect together and just completed each other. Their story was hot, emotional, raw, and beautiful. For being a realistic romance, this book was original and it just sucked me in. By now, I have read this book about 15 times, not exaggerating. Read my full review here. I love the Until series and the amazingness continues to this book. One of the main reasons I loved this book so much was because of Hope. Jay and Ellie were fabulous together, but the three of them being a family melted my heart and I loved. There was so much humor and fun in this book along with a lot of love, both the romantic and familial and I thought that was so beautiful. Along with all the other characters and the hints of books to come, I can't wait to see what comes out in the new year. When going into this book, I had no idea that it was going to make me cry and fall in love with Griffin. Griffin and Anna's story touched me so much and I loved being able to finally see who both of them really were aside from Kiera and Kellan's points of view. This is a really emotional read and very raw and it's definitely one of the best written books of the year. S.C. Stephens did a seriously incredible job of writing this story. This book is my favorite in the series and I seriously recommend buying it and reading it all the way through. And she does it again. This book was so unique, not predictable at all, and just sucked me into the story as if I was right there with Ben and Fallon. 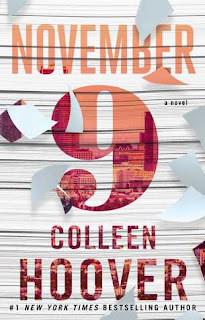 It was written very interestingly with the time gaps, that Colleen Hoover executed perfectly. 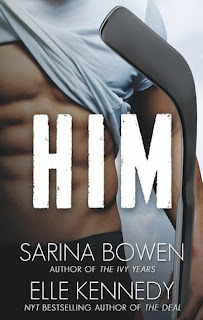 The characters were both very dynamic and there's definitely more than meets the eye with them, and it was very exciting finding out their pasts and how they connected with each other's. The biggest theme in this book was the emotion. This story wasn't a straight forward romance, but was intertwined and complicated, and the entire time you are on the roller coaster with Ben and Fallon. Read my full review here. Well there you go. Those are my top 10 favorite books that I read this year. Each one has touched me and means a lot to me, so I really do recommend reading them. I am so excited to see what new books will be coming out in 2016 by these authors and all the other wonderful authors are there. I hope everyone has a great New Years, and feel free to let me know your favorite books of the year down below.